John is a chemical engineer with over 30 years of diverse experience in the chemical, pharmaceutical, and environmental consulting industries. 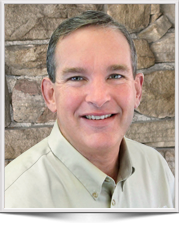 He has proven ability in the analysis and management of large, complex environmental remediation projects. John has extensive experience in the management of project teams consisting of internal and external stakeholders and a strong background in financial management and planning. Assessed the overall project strategy, technical and financial management issues and structures, and existing agency relationships. Based on the results and recommendations of the peer review, John was retained to restructure the project and provide ongoing project management services. Served as the Project Coordinator for this former manufacturing site under New Jersey’s ISRA Plan. Responsibilities included leading regulatory interactions, directing technical strategy, coordinating all con-tractors and consultants, reviewing and coordinating comments of all technical work product, and managing contracting and financial aspects. Work plan development, investigations and remedial activities associated with the divestiture of a 300-acre manufacturing facility dealing with issues such as UST’s, asbestos, groundwater quality, stormwater characterization and permitting, and waste handling and disposal. The project included closure of three landfill sites and over 100 acres of surface impoundments as well as site demolition. Actively involved in allocation activities, negotiations with USEPA and State agencies, review of technical work product, development of work scopes for engineering and contracting services, and contract management. Served as the primary contact between the Group and NJDEP on all technical issues related to remedy implementation and coordinating the activities of the Group’s technical committee. Consisted of $30.0 million surface impoundment closures and conducting interim remedial measures. Management efforts included leading and supporting technical, legal, and community tracks by negotiating final details of closure plan for OEPA Director’s approval, supporting legal team by managing expert witnesses in case of potential litigation, and significant community involvement requiring presentations to local groups, politicians, and the community. Participated on the PRP Group’s Technical and Steering Committees. Reviewed all technical work product produced by the technical consultant and led efforts to introduce geostatistical methods to investigation and verification sampling plans resulting in a significant saving in remedial costs. The project consisted impacts to soil and groundwater at multiple AOCs, building decommissioning and demolition, and stormwater management issues. The project schedule was accelerated to meet the terms of a sales agreement and required creative approaches for regulatory buy-in and approvals, and implementation of remedial components. Managed from initial assessment, phased investigation, remedial design, construction and system O&M. Responsible for client management, project financial performance and staff development. Responsible for reviewing all plans, designs and work product produced by technical consultants and oversight of construction activities. Evaluated potential environmental liabilities associated with numerous manufacturing sites and developed decommissioning cost estimates to establish environmental reserves, including costs for environmental investigations, building decontamination and demolition, asbestos removal, underground tank removal and other potential remedial costs from present and past site operations. Provided third-party reviews of numerous remediation projects that included the review of site history, evaluation of applicable regulations, projection of future remediation requirements, and estimating past and future remedial costs.